More spinning today! I've been working on some more chubby singles, since the last yarn was so fun. After I washed that one it bloomed beautifully and ended up more of a heavy worsted/bulky weight. So for this singles yarn, I'm aiming for a worsted weight after its bath. 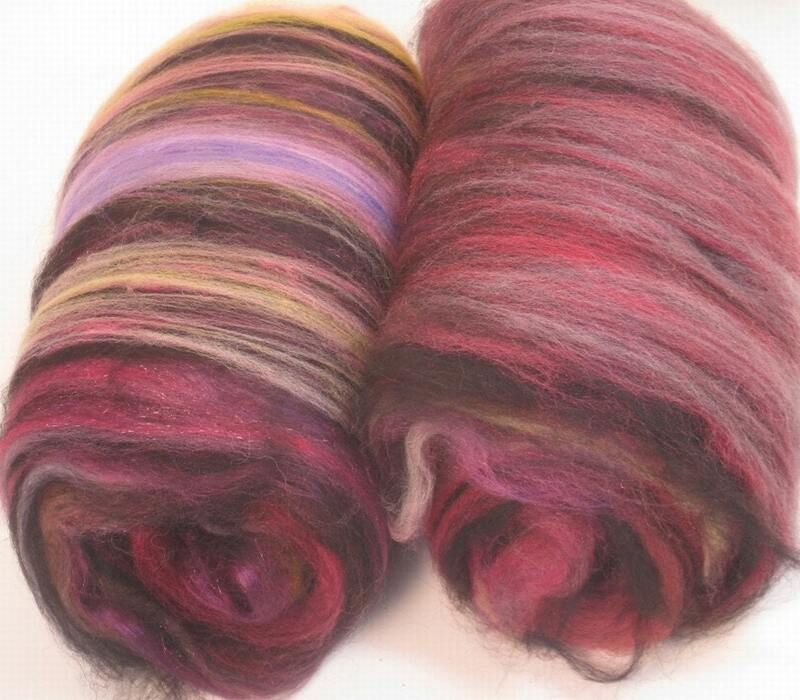 This yarn is being spun from some batts I purchased from It's a Colorful Life. I fell in love with the colors. They were more burgundy in the photos on etsy and more purplish in person and I think I like them better in person! So far I'm loving the result!